And so it begins again - the 31 Day Challenge. Thanks once again to Sarah from Chalkboard nails for getting us all motivated to collectively participate. I'm not sure how many will participate this year, there were lots the last two years so I hope this year is just as good. If you do join in, make sure you link up using the in-links below, even if you are just posting on instragram, you can still link up. I'll definitely be checking out everyone's posts who link up. The first prompt is RED. The first week of prompts are very simple, just being a single colour, so you can really let your imagination run wide. However the best my imagination could do was some stamping. I'm really going to have to push myself to do some more free hand designs. 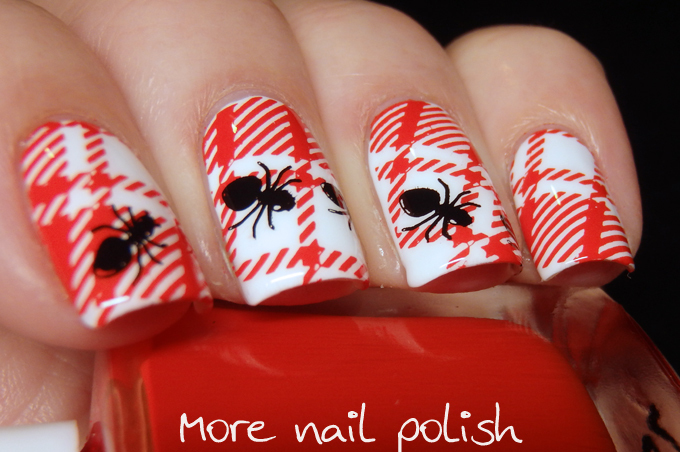 I used a plaid pattern stamping image from a Born Pretty store plate and the ants are off MJ III plate. 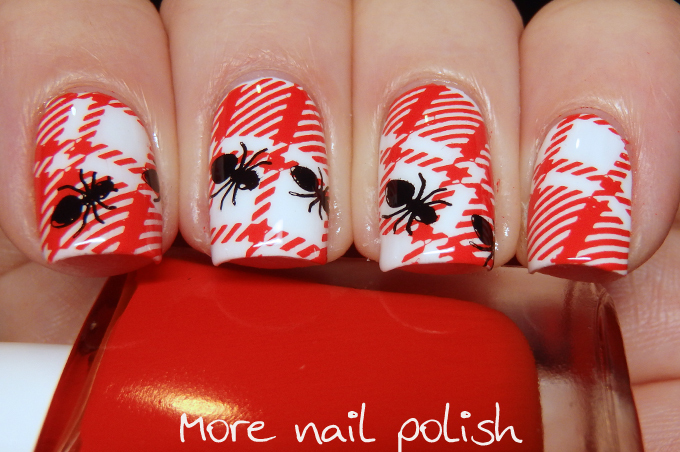 My Red nails from 2013 and 2014! I'm super excited to be in the 31 day challenge this year! I've always wanted to try being a part of a nail challenge, so this will be fun! This is perfect. I adore it! Your mani made me smile! 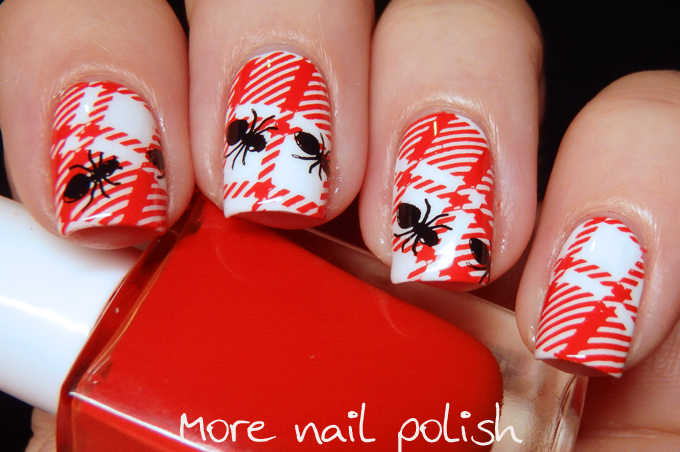 Thank you for that and for sharing your charming mani! This is such a cute idea, love it and it's a great way to use that image! 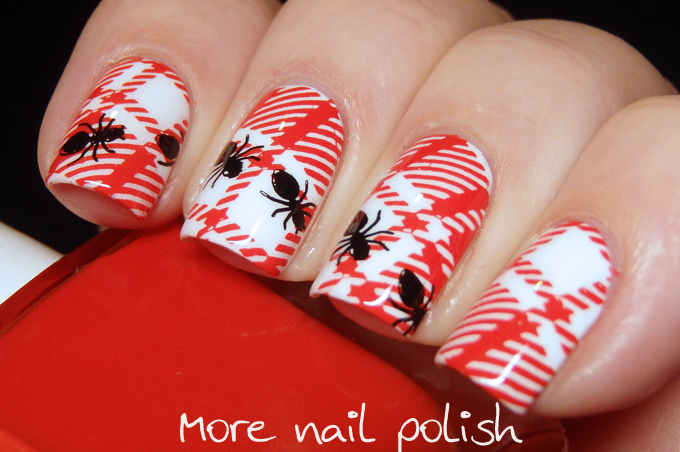 These are so cute...I especially love the trail of ants! Classic. Those ants! Bring on the picnic weather. This is super cute! Thanks for setting up the Inlinkz - fingers crossed I use them all! I just LOVE this one! <3 Very well done! Best idea ever <3 I like it a lot!!! !